The Defenders have taken over Comic-Con in a big way Friday evening giving us teasers for Punisher, a taste of what’s to come in Iron Fist, and even for fans attending the panel, a sneak peak of Defenders’ first episode. But for us at home, we get this glorious new trailer to revel in, and it’s so, so good. Seriously, it’s got so much fun stuff going on. Sigourney Weaver’s sinister villain. Elektra in action. The team constantly sniping at each other, saying they don’t need superfriends or that there’s no “we”, despite the fact that there very much is. Jessica mocking Matt’s outfit. It’s got everything! That bit about shrimp and pork with Daredevil is great. In fact, everything about this trailer is. 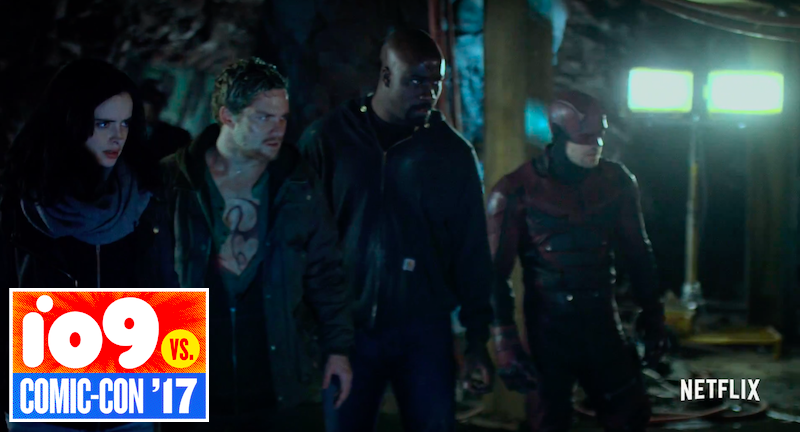 Defenders hits Netflix August 18. Comic-Con 2017 in Full Force!